What’s it like to always be the biggest guy in the room? To have to bow your head when entering doorways? 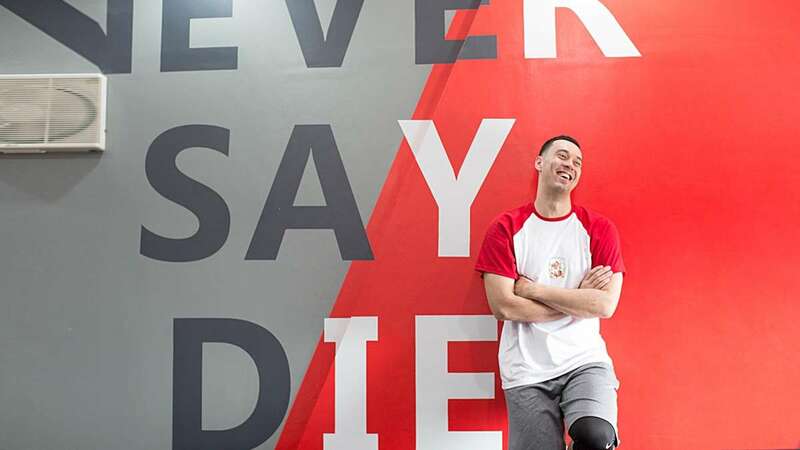 Greg Slaughter of Barangay Ginebra San Miguel stands almost 7 feet and is larger than life. We’ve walked with Slaughter out in public. 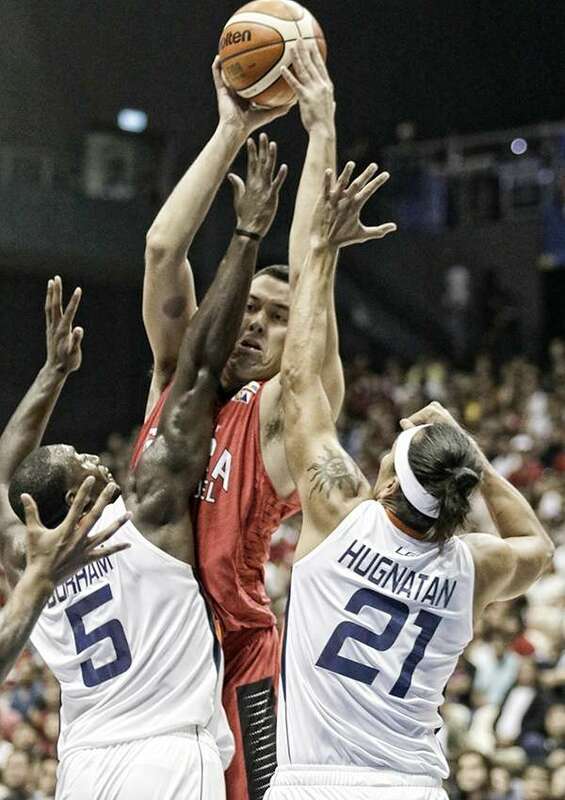 Unlike the rest of his very popular Ginebra teammates, he was not approached by people. No selfies were asked of him. Yes, people stared. How can you not, when confronted by this behemoth? But people seem to be intimidated. It’s not that he’s arrogant and standoffish. On the contrary, he is a true gentleman. We’ve been watching him play basketball since 2011, when he won back-to-back UAAP championships with the Ateneo Blue Eagles. We’ve never seen him go “beast mode” on the court. No, this giant never seems to get angry. Now, what’s it like to be on top of the world and then lose it all, albeit not permanently? On September 2016, Slaughter was injured in a game. It was an anterior cruciate ligament (ACL) tear in his knee that would sideline him for almost a year. 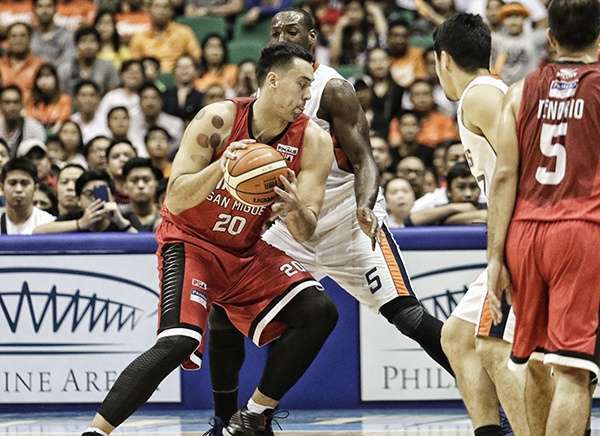 Setting frustrations aside, Slaughter worked fastidiously on his rehab until he was ready to play in the PBA Governor’s Cup in August 2017. The rest is history. 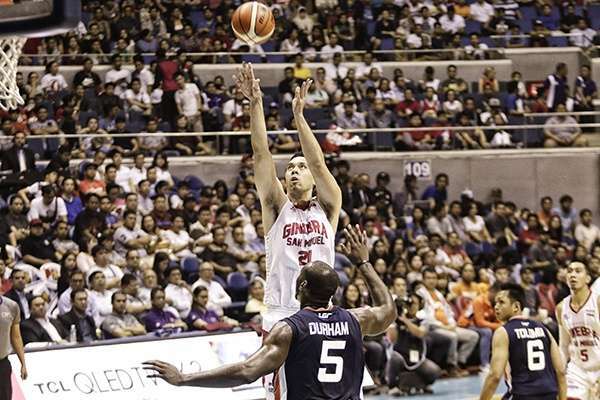 Barangay Ginebra San Miguel won the Governors' Cup Championship in a thrilling seven games against the gritty Meralco Bolts. Slaughter averaged a rounded-up double-double with 14.4 points and 9.7 rebounds per game. He also won Best Player of the Conference award. And Slaughter is just warming up. 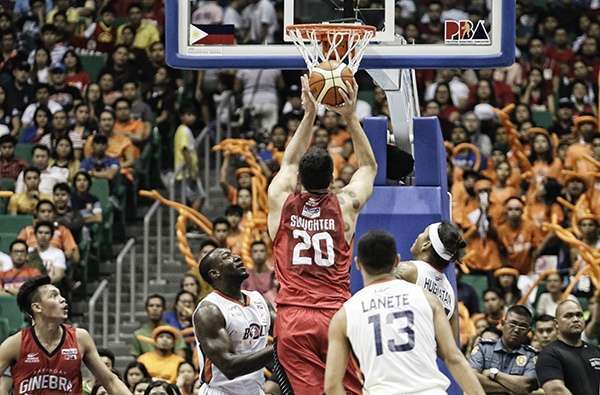 Last year, Barangay Ginebra won the Governors' Cup, but you sat that out with an injury. How does it feel to really be a champion with the Ginebra team this time? It's amazing! Just to go through the whole conference with that group of guys and come out with the mission accomplished and seeing all the fans happy is the best feeling when it comes to playing sports. How do you compare a Ginebra championship with your other championships, especially the UAAP Championships with Ateneo? Every championship is sweet. This is what we play for. The one with Ginebra, though, is different because it was by far the hardest. It went to a Game 7 and also in front of the largest audience I ever played for [53 thousand people]. What was your first reaction when the buzzer rang signaling the end of Game 7 vs. Meralco? Did you look for someone to hug or thank? My first reaction was to shake the hands of all my old coaches who coach Meralco now, Coach Norman and company. [Coach Norman Black coached Greg to two championships for Ateneo in 2011 and 2012.] I wanted to show respect after a great series. Going into the Finals, was there anything that made you play better? I was really inspired to see Senator Jaworski supporting us. Every halftime, he would be there giving us encouragement and advice. After losses, he was there reminding us to keep our heads up. It’s inspiring to hear the words from the living legend himself. Did the Big J have any special words for you? I was having offensive struggles in Games 3 and 4 and we lost both games. Before Game 5, Senator Jaworski pulled me aside and told me how he believed in me. He really gave me a confidence boost before the game. Was there anything you changed for Games 5, 6, and 7 to play better or was it just a mental thing? Coach Tim made adjustments and helped me understand them so I could get more involved in the offense. Do you feel that Ginebra is a dynasty in the making? Yes, I think we have the right players and we also have Coach Tim who has now won 20 PBA championships. We also have the best fans in the world and I think they deserve that. How confident are you that Ginebra will win more championships in the next few years? I am confident, but I also see how much it takes to win a championship. I am confident because I know if we work hard enough we can win more championships. Now that San Miguel Beermen has their own Twin Towers [Fajardo and Standhardinger], how does Ginebra [Slaughter and Aguilar] match up with them? Are you fully recovered from your ACL injury? Are you back to 100 percent? I’m not back to 100 percent yet. 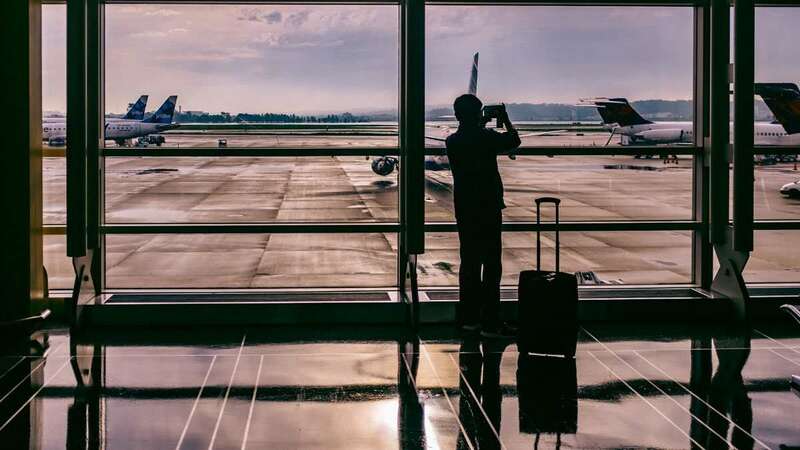 Are you still training rigorously? Yes, now that we're in off-season I'm trying to build my injured leg more. I felt like I wasn't at my peak in the Finals. It was my first conference back, but I think I've learned a lot on how to pace myself during a conference. I'm satisfied though with where I'm at now but still need to keep pushing. Are you a better player now than before you were injured? I think so, but I still feel I got so much more to get to. Are you going to unleash some new moves in the next PBA season? Post-ups? Three pointers? We’ll see. All Filipino will put a bigger responsibility on all of us without (import) Justin Brownlee. We need to step up.